How to Make Your Entire Home Festive for the Holidays | McKee-Horrigan Inc.
It’s that time of year again! As you walk through a grocery store, you hear those familiar lyrics against a soft piano background: “Jingle Bells, Jingle Bells, jingle all the way…” If you head out to a family restaurant to get a meal, you’ll probably spot a Christmas tree dripping with ornaments and wrapped in tinsel near the entrance. Santa Claus’s red cheeks and big jolly smile are showing up everywhere you look, and snow is drifting slowly from the sky every morning. That’s right: It’s finally Christmas time! If you’re not into the season, you have our permission to pull the blankets over your head and go back to sleep. But if you’re one of Santa’s helpers who spreads cheer to your loved ones (and even some strangers) from November through to December, listen up! We’re going to give you some secrets that make your home holiday decoration something that will be the talk of the block! But why restrict your creativity? 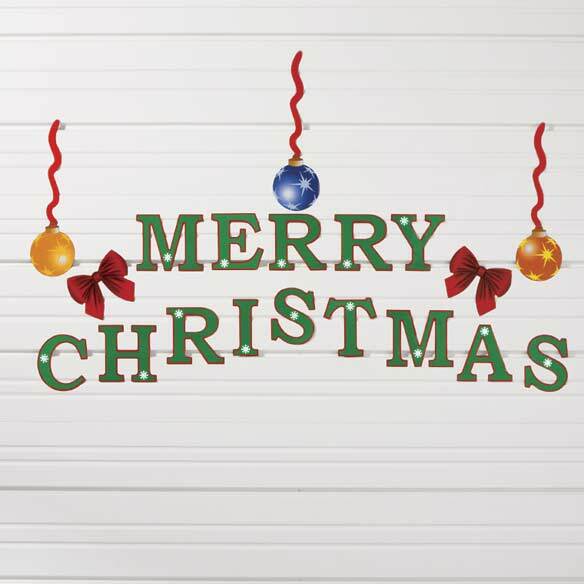 Your residential garage doors are just begging for some holiday love, and they can really add to a festive decoration. We’ll give you some ideas below, and mixed in with your own artistic ideas, you should be ready to create something that the neighbours won’t forget. Here’s how you can use your garage doors to brighten up your Mississauga home come Christmas time! Have you ever noticed that every year the holiday decoration gets kicked up a notch? It starts out with a bit of tinsel and a string of lights, and before you know it, every home is lit up like a bonfire. While there are always folk who like to keep their home nice and bare all year round (or the people who put up one single wreath and a string of lights during December and leave it up until July), many people get into the spirit of the season. This is especially true now that there are sites like Pinterest that allow you to share your winter decoration ideas. Therefore, the pressure is on this year – if you want to ‘wow’ the neighbourhood, it’s time to include your garage doors. No spot on your home can be un-holiday’d! 1) A wreath or a garland can go up right in the centre of your garage door. This is incredibly basic, but it is also a traditional and subtle way to get the spirit of the holidays across. While this is the absolute most simple thing you can do, it’s a great way to add to the rest of your decorations with absolutely no (or very little) effort. 2) Break out a lovely ribbon to create the idea that your garage door is a giant package. We see your garage doors as a beautiful gift to Mississauga residents, so this decoration is apropos. This is a cute way to bring your doors in line with the rest of your home’s decor. 3) Magnets and decals don’t just go on your fridge; these can be small or the size of your door, and they just clip on and off. Use them year after year, or get a whole new set for each winter; either way, you can get big results with just a little bit of effort. If you love the above ideas but are looking for something a little more advanced, we have some creative twists that will make bypassers think they wandered into the North Pole. 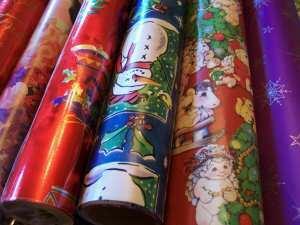 1) Wrapping paper is an extremely low cost but high effort way to make your door fit for the season. You can wrap each section of the door with paper (duct tape should be sufficient to secure it), or give each panel its own paper to shake things up. This works really well with the ribbon idea above to make the illusion of a driveway sized present! 2) Is your garage door a crisp white? You have a massive projector screen available to you! Put on Christmas movies, a holiday-themed image, or anything that will put the holidays in mind. This has a lot of potential but does require some technical know-how. 3) LED lights can add a glow to your door without requiring cords or power outlets. You can arrange them in a shape like a tree, star, or gift, spell out a message, or simply cause your door to give off a welcoming glow. All of the above are great ways to prepare your residential garage doors for decoration, but remember that safety is of utmost importance. Every decoration should be clear of the hinges and shouldn’t interfere with any of the machinery that has your door open or close. Failure to abide by this could lead to an injury or mechanical failure, which absolutely no one wants to deal with during Christmas. Also, be sure to bundle up. Don’t rush through jobs to get out of the cold; instead, take breaks to enjoy some hot chocolate and wear warm winter gear. The above tips are just some possibilities for how you can decorate for the holidays. There are countless other ways that you can exercise your creativity and create doors that even Santa would be proud of! Just remember to stay safe while you do so. If you need any help with repairs or maintenance before getting to work with tinsel and lights, give us a call. We’ll give you a free quote and amazing service – now that’s a holiday gift you can look forward to!